These three deconstructionists may not realize it, but they’re on the cutting edge of blowing the NASA hoax psyOp right out of, well, space, back into the dirt where they belong. NASA is taking a huge risk by going “live” with their hoax. With people like Jeranism, TJ, and Bob, they’re going to have to be on their best special effects behavior if they expect to fool anybody. This entry was posted in NASA hoaxes on September 3, 2015 by ab. K Ham Radio needs to be put on the back shelf for the time being. Life is getting pretty busy right now, so there will be no new shows until further notice. The audiochat, however, is a wonderful resource and I hope to keep using it. I really enjoyed the opportunity to share my thoughts with the world. Even more, I value each and every conversation because I had the privilege of learning from others. Ab, thank you for making that possible. Thank you to the many listeners who looked forward to episodes, thank you for your listenership and patience with the quality of the audio. Every week something else seemed to go wrong, but this just gave me a new opportunity to learn about podcasting. Come join me on audiochat sometime, I would love to get to know ya! Now here is something pretty to look at. This entry was posted in Audio, K Ham, Recommendations on September 3, 2015 by khammad. Stunning revelation in time for the 9/11 14th anniversary. There is no doubt in my mind that CDI did the Twin Towers destruction. I wonder how many people have seen the real demolition. This entry was posted in 9/11, Controlled Demolition, Revelation of the Method on September 3, 2015 by ab. This entry was posted in Cluesforum/September Clues on September 3, 2015 by ab. We’ve heard of native advertising, what about negative native advertising? Do PR firms invent fake negative stories to promote a brand? Do they help or hinder? If there’s no such thing as bad publicity, then they can only help. Is this Sleep Country Canada (where I spent much money myself) story a case in point? Samantha Loucks expected a delivery man to drop off her new mattress, not seem to try to pick her up.The 26-year-old data entry specialist says what was supposed to be a simple delivery became an ordeal when an employee of bedding retail giant Sleep Country sent her what she felt was a sexually suggestive text message at night, hours after the mattress was delivered to her Ajax home. This entry was posted in Media Hoaxes on September 3, 2015 by ab. Jungle doing what he does best when he’s not transinvestigating. Iranians/Persians love the USA, especially the young ones, which make up a majority of their population. To think they are the enemy is false. Their population despises their leadership as most as we are supposed to here. As usual, the population is the real enemy of governments, not foreign governments. This entry was posted in Middle East, Military on September 3, 2015 by ab. This entry was posted in Audiochats on September 3, 2015 by ab. Everything we here is an opinion, not a fact. 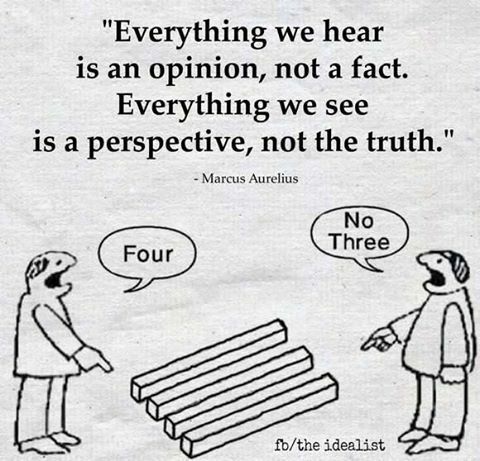 Everything we see is a perspective, not the truth. This entry was posted in Quotes on September 3, 2015 by ab. Is the sun only 33 miles away? … and other questions that may be completely ridiculous or possibly sensible? I have said that if you toss NASA and its lies out, you need to start from scratch and build a new model of where we live. The sun being only so many Masonic miles up seems crazy, but so did empty towers not so long ago. Also mentioned that the sun was possibly 330 miles across. Does this help with the night and day “problem” with the flat earth? This entry was posted in 9/11, Magic numbers, NASA hoaxes on September 3, 2015 by ab.